Nationally acclaimed Chef David Walzog brings an innovative approach for inspired American cuisine to SW Steakhouse at Wynn Las Vegas, the resort's signature steakhouse. Located on the resort's majestic Lake of Dreams, the restaurant is an ideal spot for a casual, yet elegant dinner with a breathtaking view and an equally impressive menu. "I am so excited to have the opportunity to be a part of Wynn Las Vegas and to do what I do best in such a magnificent setting," says Walzog. "I think we have created a very appealing menu for SW that re-defines the classic American steakhouse, yet still offers guests the classic favorites they have come to love." SW Steakhouse is a perfect platform for Chef Walzog to showcase his grilling techniques and innovative approach to the American steakhouse experience. 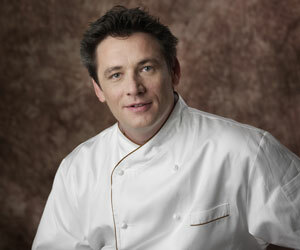 Prior to arriving at Wynn Las Vegas, Walzog was the corporate executive chef at the Glazier Group in New York City. In this role he was at the helm of New York City's legendary The Steakhouse at Monkey Bar, Michael Jordan's The Steak House NYC, and three Strip House restaurants. Under Walzog's supervision, Forbes Magazine awarded Strip House as one of the "Forbes 2003 All-Star Eateries in New York" and in April 2001, New York Magazine's annual "Best of New York" issue proclaimed that Strip House had the "Best Steak in New York."